Portrait of Wally, Egon Schiele’s tender picture of his mistress, Walburga (“Wally”) Neuzil, is the pride of the Leopold Museum in Vienna. But for thirteen years the painting was locked up in New York, caught in a legal battle between the Austrian museum and the Jewish family from whom the Nazis seized the painting in 1939. The film traces the history of this iconic image–from Schiele’s gesture of affection toward his young lover, to the theft of the painting from Lea Bondi, a Jewish art dealer fleeing Vienna for her life, to the post-war confusion and subterfuge that evoke The Third Man, to the surprise resurfacing of “Wally” on loan to the Museum of Modern Art in Manhattan. In 1997, when the heirs of art dealer Lea Bondi asked MoMA to hold the painting in New York, MoMA and the Leopold Museum dug in their heels and refused. District Attorney Robert Morgenthau issued a subpoena and launched a criminal investigation. A thirteen-year battle in court followed, tracking the course of a Holocaust property crime and reopening the wounds of one of the century’s worst tragedies—all at a time when the prices of Egon Schiele’s works rose faster than those of any painter on the art market. 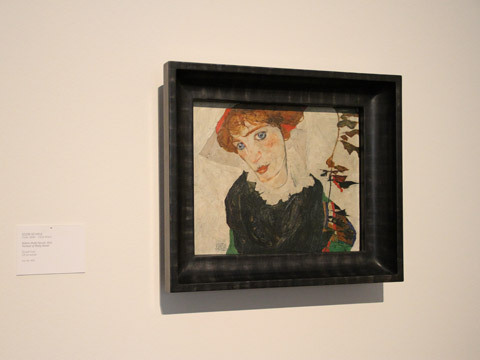 Schiele collector Ronald Lauder found himself caught between several loyalties—he was chairman of MoMA and the founder of the Commission for Art Recovery, an organization committed to returning looted art to the Jews who lost it to the Nazis. Lauder sided with the Museum, and against the Jewish family. So did all the museums in New York—even the Jewish Museum. The “Wally” case brought the story of Nazi art loot into the open, eventually forcing museums in Europe and the US to return art to Jewish families. Andrew Shea, director, producer, screenwriter is a versatile, award-winning director and screenwriter who has enjoyed success in film, television and theatre. He teaches directing and film production in the Department of Radio-Television-Film at the University of Texas at Austin. Andrew’s third feature film, Forfeit, a heist flick starring Billy Burke, Sherry Stringfield, Gregory Itzin and Wayne Knight, premiered at the South by Southwest Film Festival. His other features, The Corndog Man and Santa Fe, both premiered at the Sundance Film Festival. His short film, Take My Breath Away, premiered in the Critics’ Week section at the Cannes Film Festival. He lives in Austin, Texas with his wife, film editor Melissa Shea, and their two children.